The works of Nargis Dowland have long been out of print, with only a few copies preserved in public and private collections. 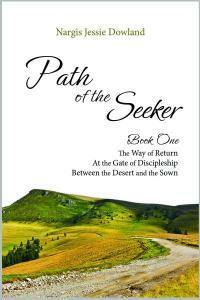 A new generation of readers is now invited to read and be inspired by these classics of spirituality, and to follow the author on a journey progressing through the stages of seeking, discovering guidance, and continuing on the pilgrimage toward the ultimate goal of unity with the source of all life. On this journey each seeker travels on a unique but shared passage through life, passing through desire and purpose, illusion and truth, suffering and pleasure, through the self-created landscapes of one’s own thoughts, always in search of balance and harmony, and guided by the voice and presence of the Beloved that are found within the heart.